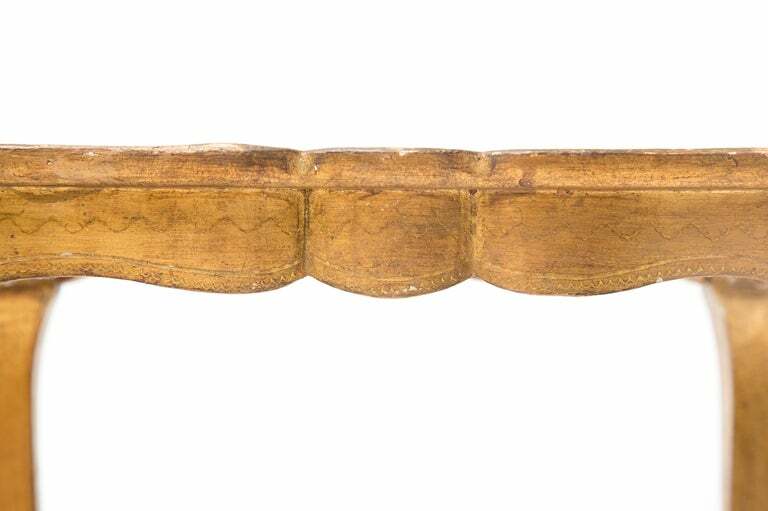 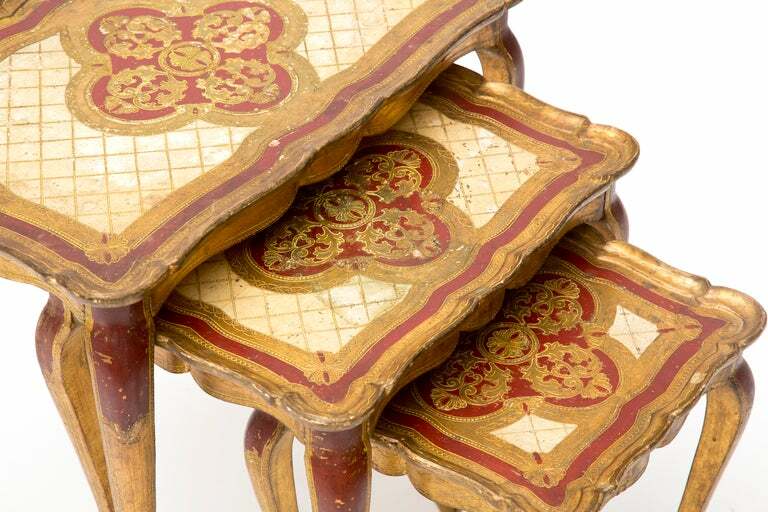 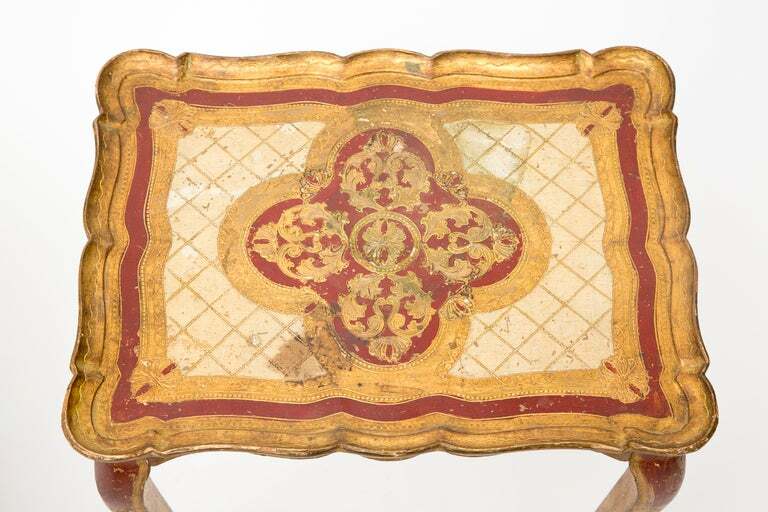 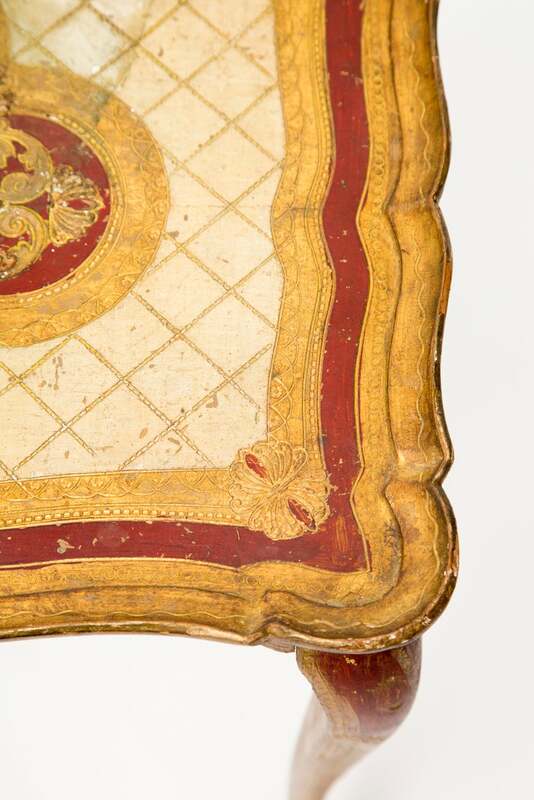 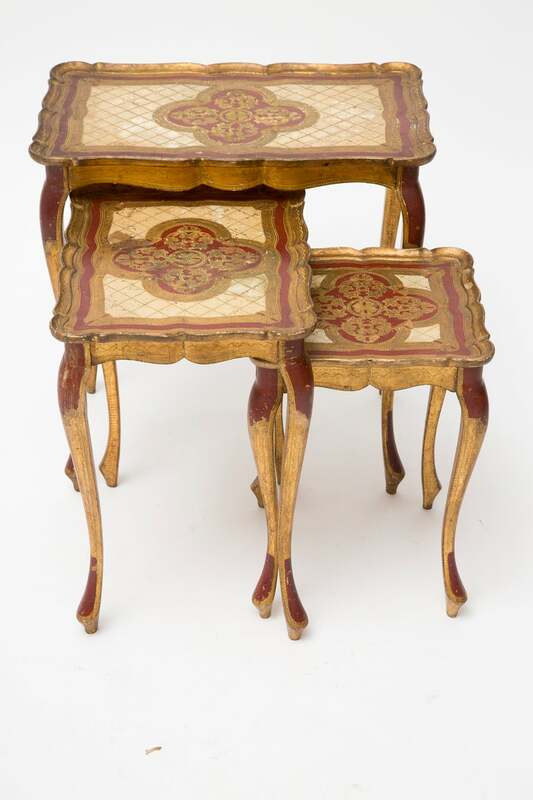 Set of three antique Venetian nesting tables in painted fir with beautifully detailed tops. 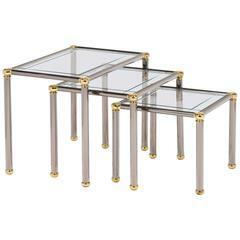 French vintage set of three nesting tables with gunmetal and brass frames, etched glass tops. 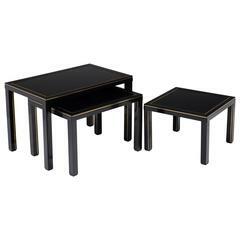 Three very elegant French black glass tops nesting tables designed by Maison Jansen. 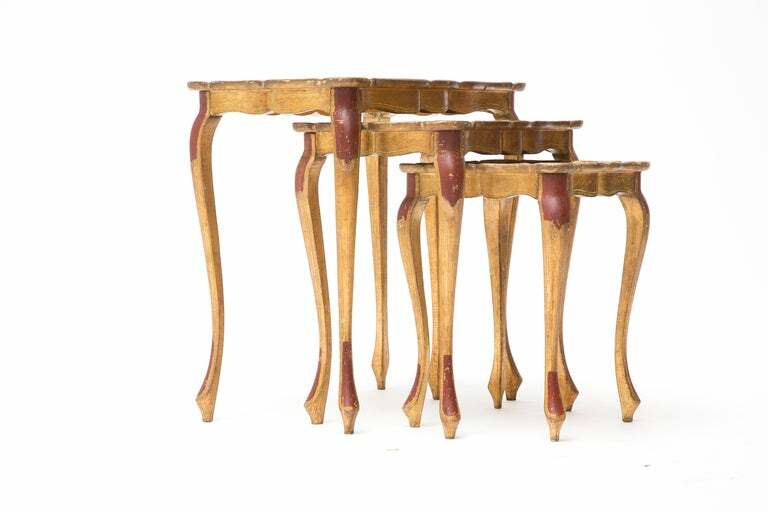 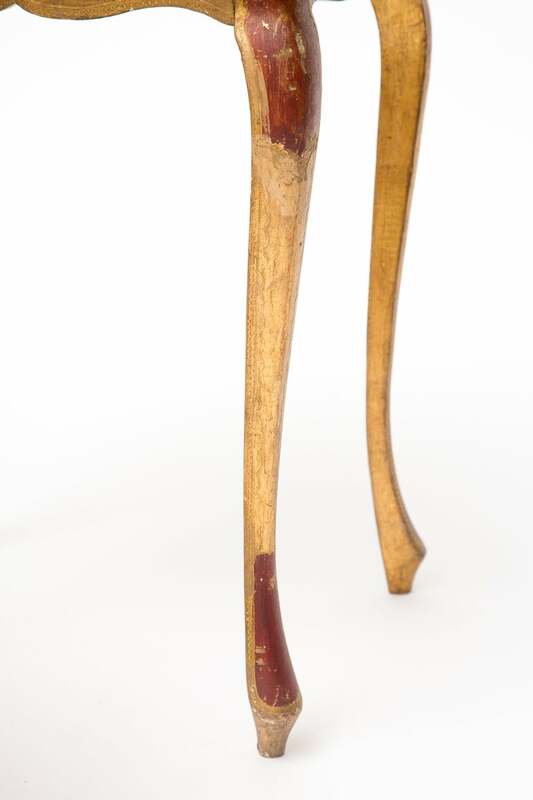 Measurements: 1) 20" H, 15" D, 25" L. 2) 16" H, 12" D, 21" L. 3) 12" H 9.5", 18" L.
Set of nesting tables in teak produced in Denmark in the 1960s. 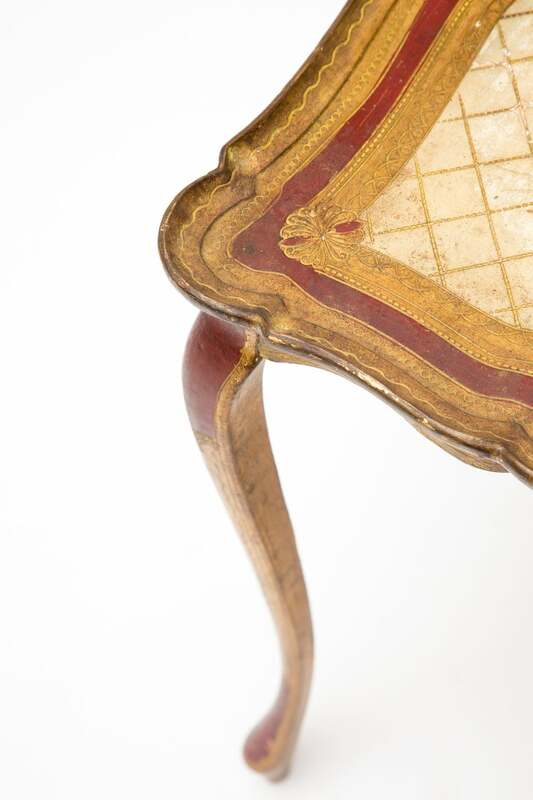 The tables are well crafted and feature lots of details. 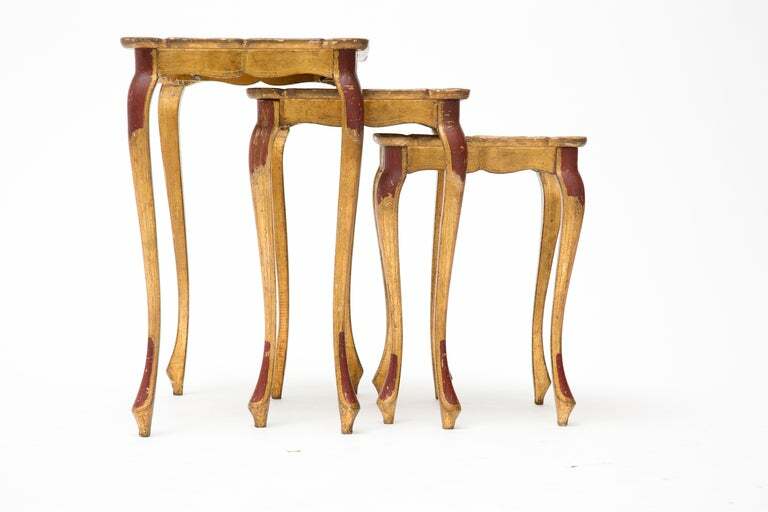 Set of three Danish rosewood nesting tables, circa 1960s. 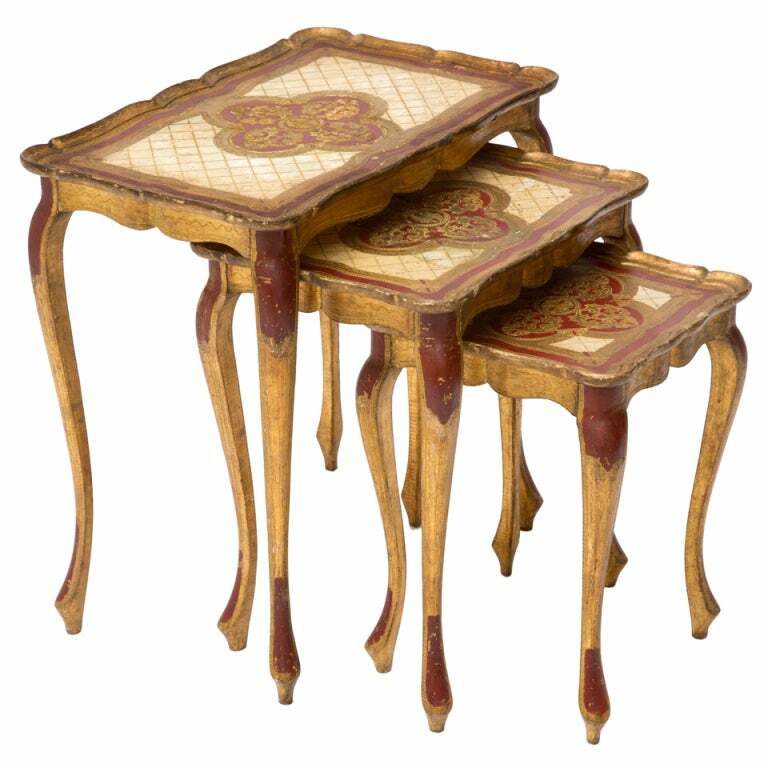 These tables are in wonderful condition and can be used in a handful of ways.